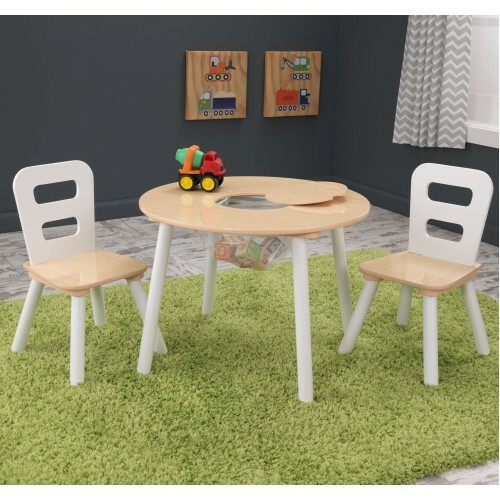 Beautifully carved & painted play tables, modern and stylish play tables, clever storage play tables, you will find them all here. 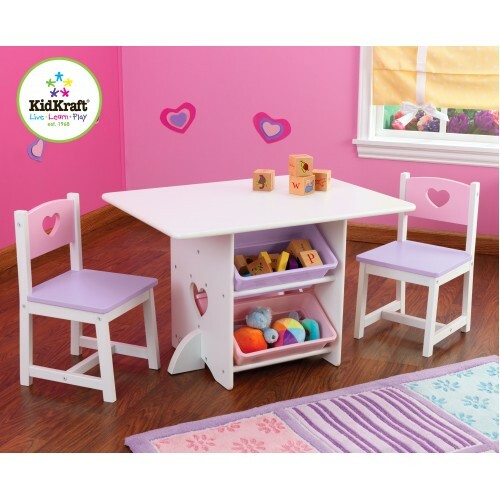 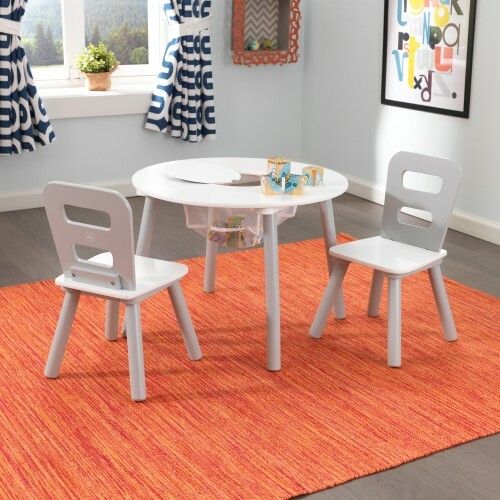 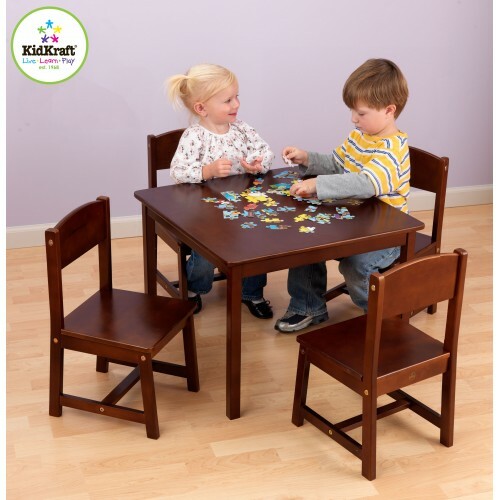 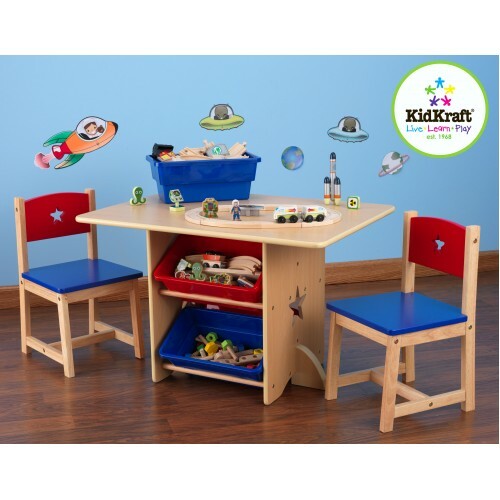 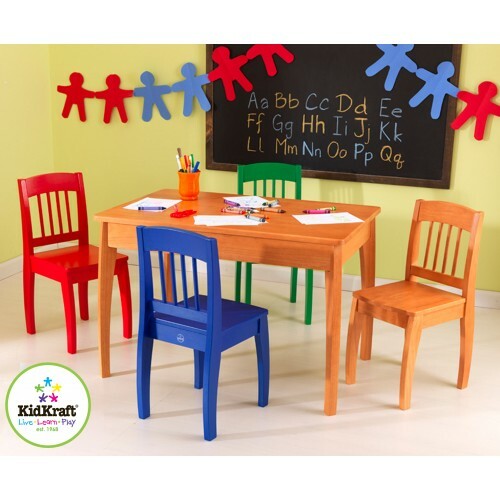 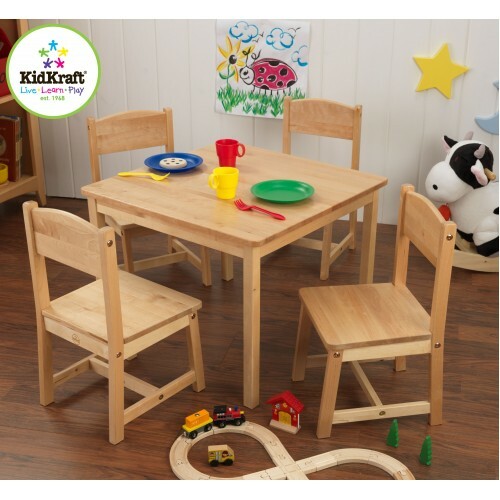 Kidkraft Heart Play Table with storage boxes Our Heart Table & 2 Chair Set with Pastel is ..
Kidkraft star wooden play table and chairs A perfect play table for both boys and girls, ideal fo.. 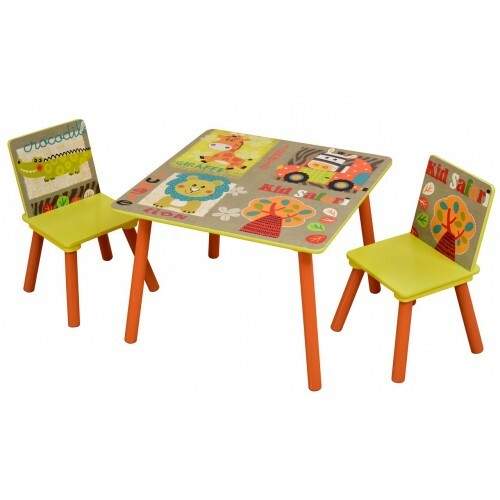 The Blush desk and chair is a great little work station for your princess, who will spend hours at h.. 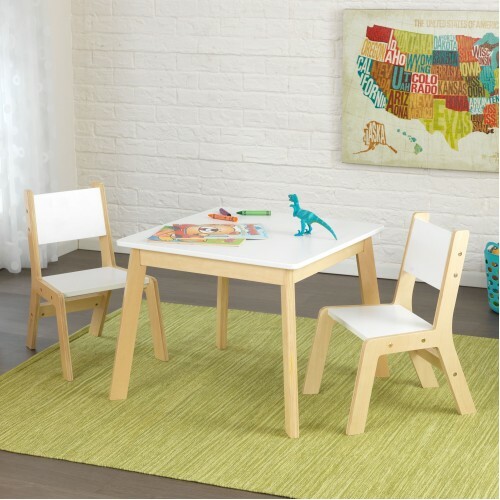 The Speed Racer table & 2 stools are a rip racing design, with wheels to sit on and a large sp..
Blue Safari Animal Table and Chairs Beautiful bright colours with friendly safari animals decorate t.. 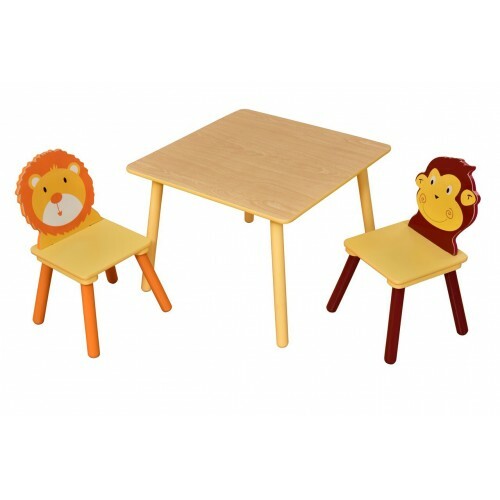 Jungle Square Table and Animal ChairsVery cute sturdy table and chair set, chairs have animal backs .. 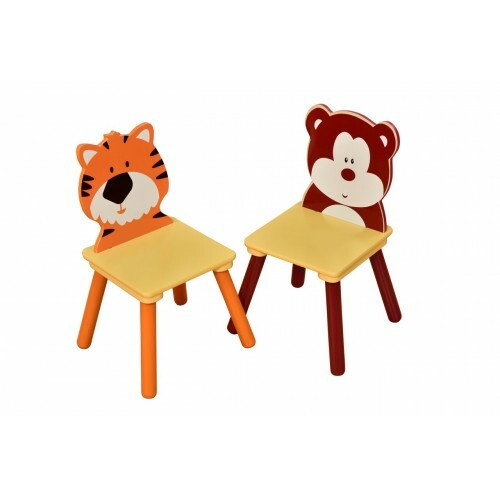 Jungle Tiger and Bear Pair of ChairsPair of cute wooden animal themed chairs, one features a friendl..
Kidkraft Euro Honey Table & 4 Chairs A fantastic table with enough space for your child and f..
Kidkraft Farmhouse Table & 4 Chairs in Natural This wooden table & 4 chairs is the ideal ..
Kidkraft Farmhouse Table & 4 Chairs in Pecan This wooden table & 4 chairs is the ideal pl..
Kidkraft Gray Round Storage Table and ChairsThis modern looking kids table is ideal for playing at a..
Kidkraft Modern Table and ChairsThis sleek and stylish play table from Kidkraft is perfect for eatin..
Kidkraft Pink Round Storage table and Chair SetThis modern looking kids table is ideal for playing a..
Kidkraft Round Storage Table This modern looking kids table is ideal for playing at and eating at..
Kidsaw Explorer Table and ChairsThe Explorer range of kids furniture from Kidsaw is fantastic for an..
Kidsaw JCB Muddy Friends Table and ChairsA new range from Kidsaw if your child likes diggers then th..
Safari Animal Table and ChairsThe cute and simple design of this table and chairs set makes it perfe..
Safari Kids Play Table and ChairsThis animal themed table and chair set is just perfect for jungle a..
Safari Round Table and StoolsBrightly painted and featuring lots of friendly animals this table set ..